Durable, water resistant nylon keeps feet dry and warm in wet or cold weather. Contains a pocket for self-heating hand warmers packets for added warmth in cold conditions. 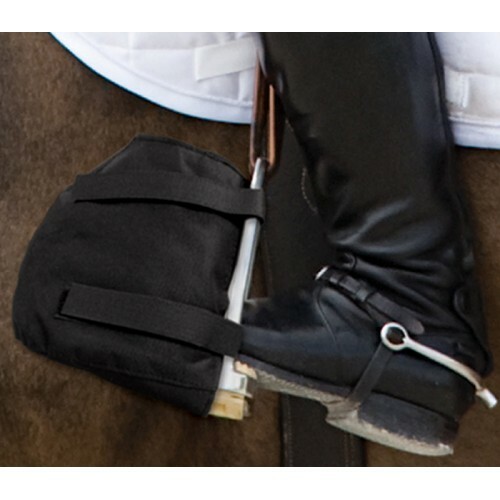 Easily attached to most stirrup irons. Not recommended for peacock irons.